When we launched our year at Salt in January 2017 we spoke about focusing on “you”; bringing out the best in all of us and creating a way of working that differentiates us from other businesses that ultimately allows us all to fulfil individual dreams, thus reaching our destiny. We followed up our annual kick-off when in April we launched for Q2 (April, May & June) and spoke more about how our thoughts, through words, actions, habits and values become our destiny, a famous concept publicised through a Gandhi quote. As humans, we embark upon an amazing journey from our initial time in our mother’s womb, through birth, being a baby that without our parents or parent figure would be helpless to survive, through being a child, a teenager and then we hope to be ready for “adulthood”. Each one of us has our own unique journey with the extreme circumstance of being brought up with war and destruction around us (as an example a young man I recently interviewed who grew up in Kuwait in the 1990s), through to peaceful upbringings where the main challenge was which colour coat or shoes we wore. Behind all of this though are the inner challenges we have faced based upon the environments we were exposed to; the thoughts that we had to endure provoked by feeling unsafe; words of people around us that polluted our worlds with negativity; and then the actions and habits that we developed from these surroundings. Whether from war or words, we have all gone through our own challenging journeys; so, when faced with my own adversity I was taken down a path known as “becoming a yogi”. My amazing wife Serena had been practicing yoga for several years and was training to become a teacher. Being broad and not so flexible I did not always see the natural synergy with yoga; however, the more I learned from the many books laying around our house and wise words from Serena, the more intrigued I became, so began classes every Sunday, followed by a trip to Bali post visiting our Singapore offices. It was here that the religious and spiritual learnings of Indonesia, along with the “sun-set” yoga, further set within me. Through regular yoga and my wife’s regular teaching slot at a Martial Arts Academy in Surrey where we live, we have met some truly amazing people, culminating in us being introduced to Kundalini Yoga (kuṇḍalinī-yoga). Also known as laya yoga, Kundalini is a school of yoga that is influenced by Shaktism and Tantra schools of Hinduism. It derives its name through a focus on awakening kundalini energy through regular practice of meditation, pranayama, chanting mantra and yoga asana. Called by practitioners "the yoga of awareness", it aims "to cultivate the creative spiritual potential of a human to uphold values, speak truth, and focus on the compassion and consciousness needed to serve and heal others." On my recruitment journey which began in 2004 I did not expect that it was the kindness that we all have inside of us that would be the key that unlocked greatness and the potential to do wonderful things in this world; I was always drawn to the “helping” aspect of recruitment in “Creating Futures” as I had been frustrated during school, college and university that little “career advice” or “life guidance” was given. But success in recruitment was defined by sell more and sell fast – how now in learning new concepts outside of “business” to give us faith that the world can evolve positively. Any company with the correct values and customer truth will realise that we can create amazing businesses, fuelling the economy for positive gains, by showing compassion and a positive consciousness, just as we are taught through Kundalini. 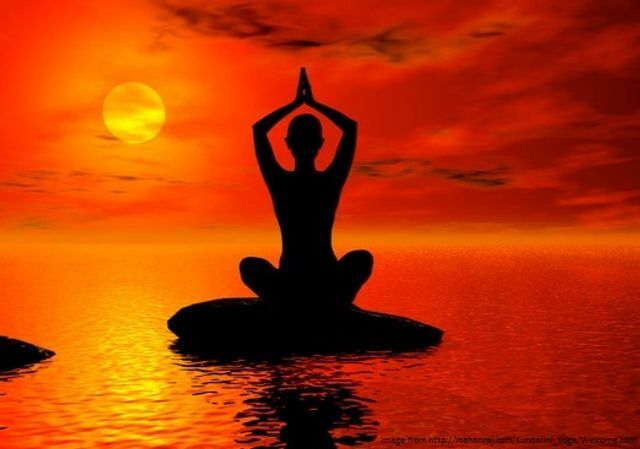 Yoga has been influencing the western world since Swami Vivekananda wrote "In America is the place, the people, the opportunity for everything new," before he left India in 1893. Vivekananda had learned from his guru, Sri Ramakrishna, that the world's religions "are but various phases of one eternal religion" and that spiritual essence could be transmitted from one person to another. Since then, slowly but surely, we have seen businesses adopt more spiritual based techniques to drive happiness and performance in the workplace – these concepts should be considered more widespread and will no doubt have a wider influence on peace and humanity in this world should all our global cooperation’s adopt.